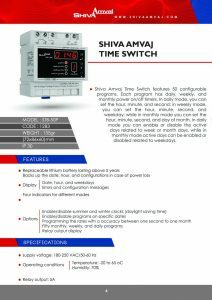 Shiva Amvaj Time Switch features 50 configurable programs. 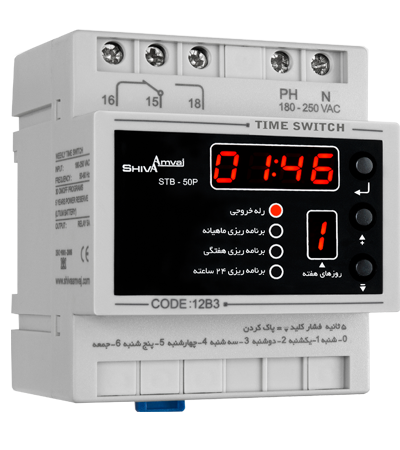 Each program has daily, weekly, and monthly power on/off timers. 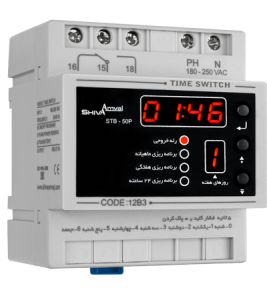 In daily mode, you can set the hour, minute, and second; in weekly mode, you can set the hour, minute, second, and weekday; while in monthly mode you can set the hour, minute, second, and day of month. 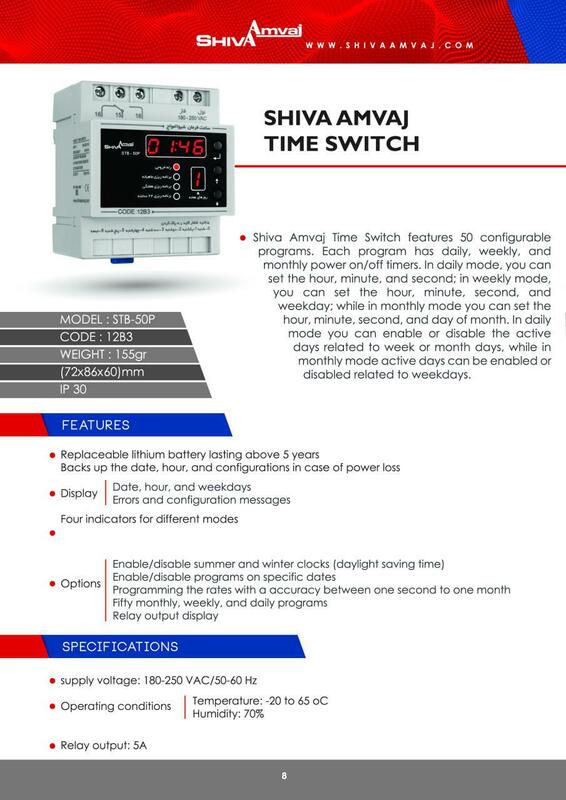 In daily mode you can enable or disable the active days by week or month days, while in monthly mode active days can be enabled or disabled by weekdays.